Last edited by snwbrdr435; 01-21-19 at 09:05 PM. Do you work at the mountain? No, I am next door at the YC. The snow is starting to stack up, tomorrow could be a good day. How is that part of the mountain? Obviously I'm far to poor to know. 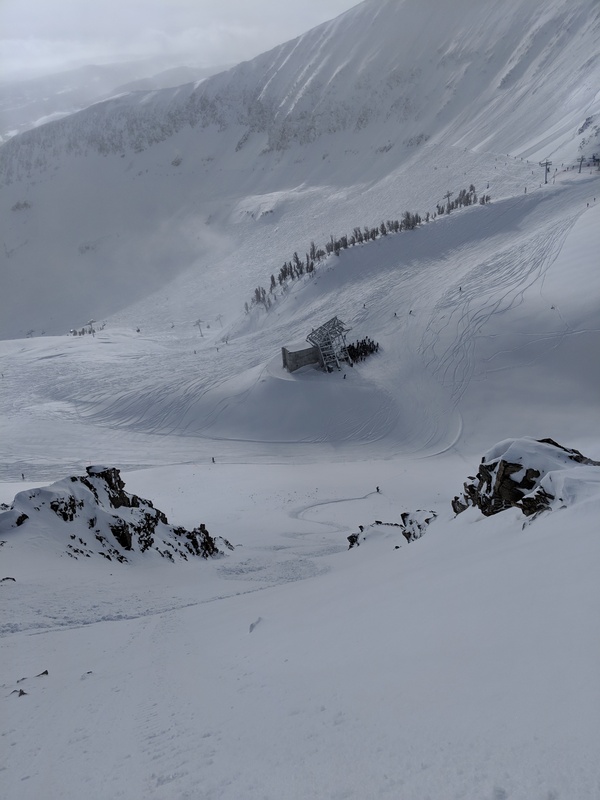 Its an entirely separate mountain that is interconnected with big sky via lifts, so YC members (and me) can ski over to big sky. 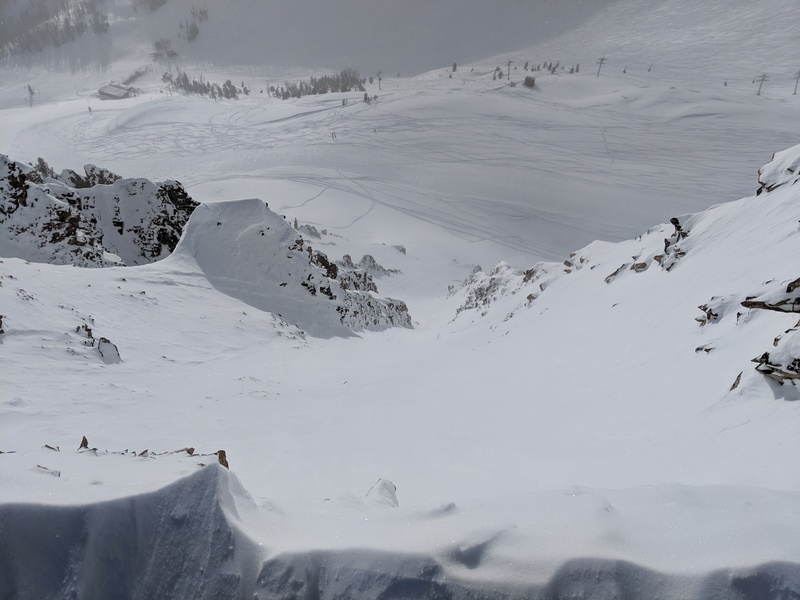 The YC has more skiable terrain then a shitload of resorts including Jackson hole, Telluride, Sun Valley, Deer Valley, Alta, Snowbird to name a few. The terrain is wayyyy better than I was expecting, the trees on the backside of Pioneer have endless untracked low angle powder. The front of pioneer has some nice chutes and steeps. Last edited by snwbrdr435; 01-23-19 at 09:27 PM. That's amazing. Did you move out there for good or do you split time? 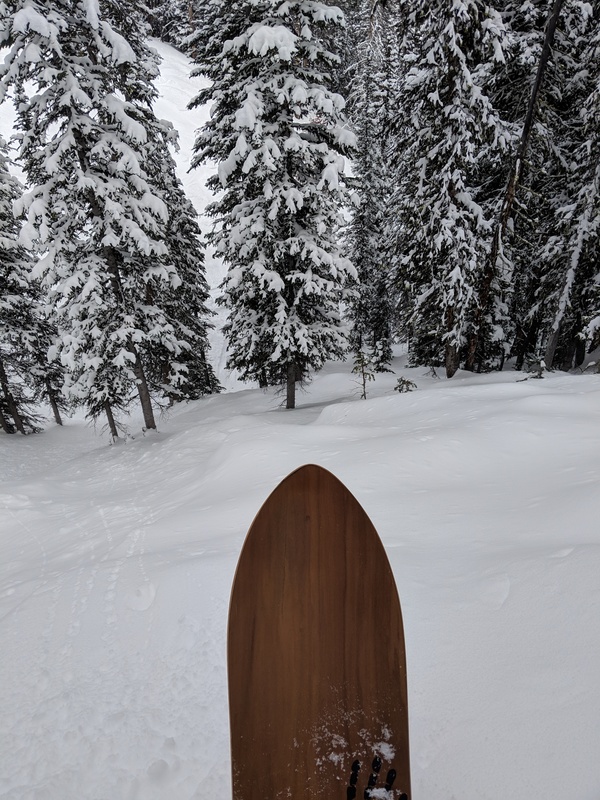 Absolutely awesome day, hiked the headwaters ridge 8 times, got first tracks on 5 chutes, 2nd tracks on the bottom half of one after I cut the top to a rock band to shoot photos of a friend. 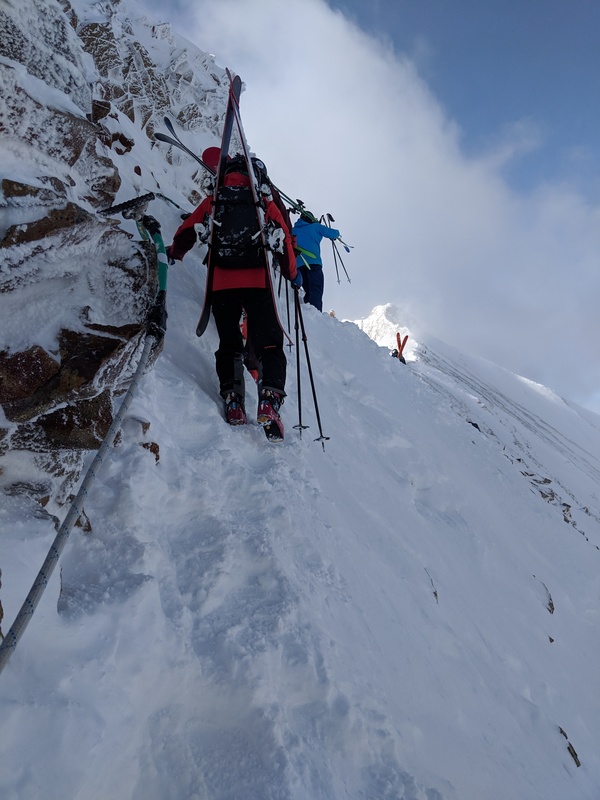 To access the chutes on either side of this ridge you take one of the two lifts that dump you near by and hike the ridge. 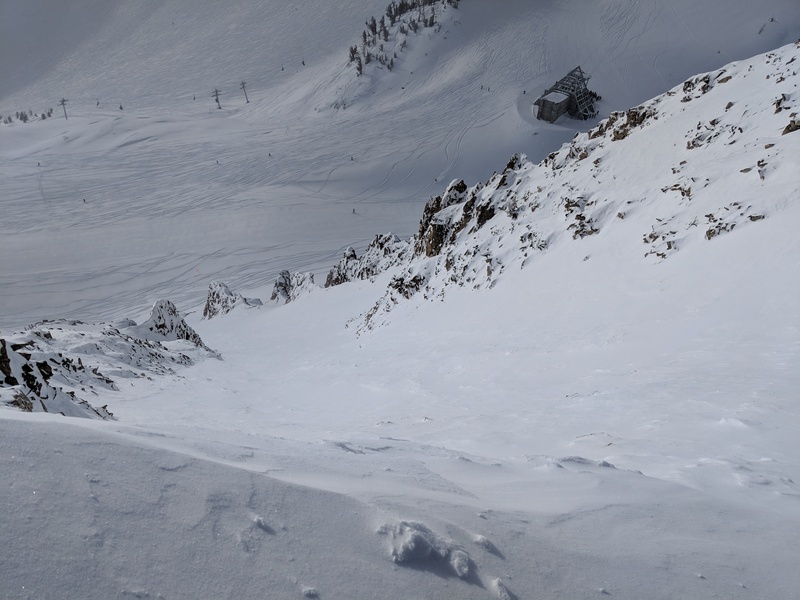 Some sections have fixed lines, but all in all not so bad and some of the best lift accessed terrain around. Last edited by snwbrdr435; 01-24-19 at 09:03 PM. How much longer are you guys out here for? 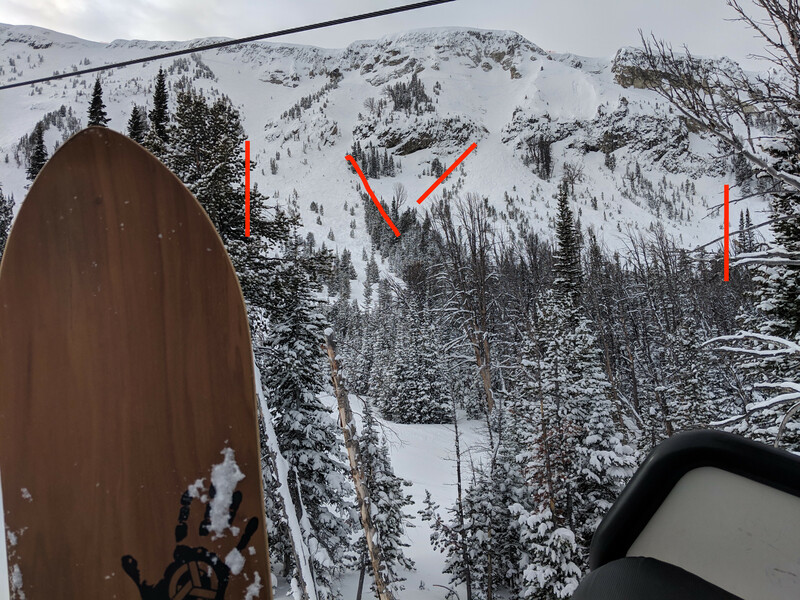 Snow has been pretty awesome, been exploring some new lines on certain aspects and have gotten into some very tight steep chutes one of which had to be 4ft wide and 40 degrees. Going to have to start taking a go pro out to get some footage. Last edited by snwbrdr435; 02-07-19 at 11:22 PM. I learned to ski in NH & ME and had never skied out west.. until last weekend. Park City. I'm a pretty average skier but it was infuckingcredible. Going to Sunday River the 23rd (next sat) for a day with my girl. looking like a little snow all week and 38 degree temps. will be my first time out in 3 years which is a gosh darn shame. tell me about it, i use to live for skiing. The last couple years i've been plowing through the winters storms and working another 50 hours construction and didn't have time. In March of last year I started a new job/career and already used all my accrued vacation days since my 6 month mark and been working lot's of Weekends, B U T....... next winter I'm planning on taking more than a couple week days off for some powder days and maybe even get some new gear. God knows I need a new pair of boots and ski's. Still rocking my 2004 Salomon x-wave 10's and 2005 Salomon Pocket Rockets. Have you been out a lot this season? Last edited by scubasteveRR; 02-18-19 at 07:15 PM. Waterville was the 1st for me sadly.. Heading up to Okemo for some riding with friends Mon-Tuesday!!! I’m pumped as this will be my first time at a bigger mountain. It's a fun mountain. I'm going Friday.. The only thing I can't stand is the price..
Don't know who they think they are. Yup. Take up skiing. ....... Enjoy the bubble lifts. 16” overnight here at Breckenridge with another 10” expected during the day. Vail is the owner. Okemo, Sunapee, Stowe, and in the market for Jay. Expect to eventually pay for parking and no bags on floors just in pay lockers. Last edited by Rambunctous; 03-07-19 at 11:52 AM. Hope to get out once. I did get the OK from the wife to go back out west with my Dad next year though. Historically (before house and kid) my Dad and I plus another father-son team would do two trips a year. January is always a rotating week to try out new mountains. Last week in February we go to Copper in CO for 7 days; 4 days at Copper and 3 we'll hit a selection of Breck, Keystone, Vail, Beaver Creek, A-Basin, etc. Not sure yet which trip I'll take but I'm stoked to be getting out again, it's been 4 seasons since I was on the slopes! Straight with a few pow turns in the run out. Page generated in 0.149 seconds with 18 queries.